Had a really good day last Saturday, cashing 6 winners out of the 10 races down in the “Big Easy” at the Fair Grounds. Hoping to continue that streak as we begin another fun week of racing on Thursday. 1st: 5-6/3-4-1…La Femme Royale (5) gets the nod in the lid-lifter today. This 4YO Tale of the Ekati filly drops to a career low price tag and ran well when claimed two starts back at Indy Grand. Trainer hits with .14% of those making the second start off the claim, and with .30% coming back for the second time off a layup. Barn is having a very nice meet here, and the rider has been super hot of late. Lu Sea (6) will move up a notch in the pecking order after winning here on Nov. 15. Has a win and a third in just two starts over this main track, and gets a solid rider in the irons. Likes the distance, too, with a 2-0-2 record in 6 starts. I bet the 5 to win/place/show and then box the 5-6 in one exacta. I will key the 5 over/under the 3-4-1 in a lesser version. 2nd: 4-3/6-2-5-(9)/8-7…This is the first of four nice grass races today, and I will focus my betting strategy on the top two numbers in this sequence. Starmaline (4) is a perfect 2-for-2 and has never been threatened to date. Won the debut by 10, and followed that up with a 61/4-length victory. Moves to the grass for the first time today for a barn that hits with .10% of those kind. The dam of this one is a Stakes winner, but has not thrown a turf winner. Maybe the only question this one has going in. Speedy type should go right to the front. Savvy Shipman (3) has hit the board in 6 of 9 previous races, including a second in a LA-bred Stakes event three back. Won last time out when the race was moved off the grass and to the main track. In 5 turf races to date, though, she has a 1-2-1 resume. Versatile type can come from off the pace, and gets a top rider in the irons. I bet the 3 (take note) to win/place/show and then box the 3-4 in the exacta. I will key the 3-4 over/under the 6-2-5 in two lesser amounts. 3rd: 4-5/3-1/2-1A-6…Another race exclusively for the LA-breds, and I will focus my attention on the top two numbers in this grouping. Boston Repo (4) goes for a barn having a super good meet (.33% winners from 54 starters). Has hit the board in all three starts to date, and looked to be a winner when moving up to face winners for the first time last out. Collared late in that one, and figures to be the speed in here again. Inspector Eddie (5) is the ML favorite, and is moving up after breaking the maiden last time out. Barn hits with .27% of those facing winners for the first time, and this one comes from a Stakes-placed mare. Has produced 2 winners from the first 2 starter and a SW, as well. Breeding is there. Will push the front end speed, too. Could it set up for a closer? If so, keep Liaison Halo (3) in the mix. I bet the 4 to win/place/show and then box the 4-5-3 in one exacta. I will key the 4-5-3 over/under the 1 in two smaller versions. 4th: (13)-1-5-2/10/3-8-(16-12-15)/4-7-6…The second of the grass events today, and I will go strong with Noble Companion (13) if he draws in from the AE List. Ran a solid second, beaten just a neck, at this level last time out when getting the grass for the first time. Looks the best, but needs some luck just to get in the race. Outside post is no bargain, either. If he is left out, I will focus on the top 3 numbers, led by the rail horse — Mr. Sarcastic (1). This one is making his second start for the barn after being claimed. Trainer hits with .37% of those kind. Trainer and jockey have teamed up for a whopping 4-3-0 record in the last 11 races together. Love the recent work, too. Don’t discount a long shot here in Wellfield (5). Gets the Lasix for the first time today and the grass, too. Also, will race with blinkers. Lots of changes could prove to be the right mix. I bet the 13 if he gets in. If not, I bet the 1 to win/place/show. I will box the 1-5-2 in the exacta. 5th: 6-7-1/5/3-4…This is a MCL event for $30,000 and I will give the slight edge to Sweetest Appeal (6). This one drops a couple of notches in the ranks today and did run a nice second at this level two back. Barn hits with .28% of those making the third start off the layup, and the rider is starting to heat it up. Has a 3-0-3 record in the last 12 rides. City Candy (7) drops down the ranks, as well, for a trainer having a solid meet. Ran well on the lead last time out before tiring a bit at the end. Returns as a beaten favorite, and the barn hits with .19% of those. I bet the 6 to win/place/show and then box the top 3 numbers in the exacta. 6th: 1-6-7/2-(1A)-11-9-3/10-8-5-4…The third of the grass races carded on Thursday, and I will go to Mr. Louie Roussel III for my top pick. Vincitore (1) looks to be in a prime spot after running very well here on Jan. 13. Ran out of ground and running room in that one, but was certainly closing the gap late. That was the first race in 5 months. If that exercise helps, he may be tough to hold off in this spot with a top rider taking the assignment. Armament (5) is 10-1 in the ML and could really spice up the odds rack if he can find his stride. This 5YO son of War Front certainly has the breeding to be a top contender. Only brought $40,000 at the 2018 Keeneland November Sale, though, and that’s a question mark. Still, he looks to be getting better in the last two races for a top trainer and the work here on Feb. 2 was solid. Has a chance in here at a price. I’m playing. Combustible (6) is 6-1 ML odds, and could outrun those chances, as well. Drops out of the allowance ranks into the claiming level for the first time. Barn hits with .22% of those, and this deep closer gets a top rider in the irons, as well. Watch out. I bet the 1 to win/place/show and then box the top 3 numbers in the exacta. 7th: 3-1-2/8-9-4/6-7…This is a really nice allowance race, and has drawn the attention of some solid horsemen and their respective steeds. I will give a slight edge to Casses Story (3), who was claimed by the Joe Sharp barn five starts ago. Since the move to the new connections, he has a win; a second and a third in four starts. All of those against tougher competition. Ran very well as the favorite last time out, but just could not get up. The winner two back is red hot right now. In 5 starts here, this one has a 1-2-1 record. Solid and consistent. Finglas (1) goes for Tom Amoss, who is having a super meet here and is one of the top trainers in the entire world. This one moves up in class after running third at Delta Downs last time out. But he has the back class to fit nicely in this spot. Rail is winning at a .23% rate. Bias may help. Higher Power (2) is a contender, too. 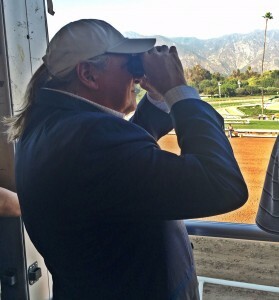 Has run just behind our top pick in the last two outs. Ran in the G2 Rebel Stakes last Spring. Nice work on Feb. 1. I bet the 3-1 across the board and then box the top 3 numbers in the exacta. 8th: 10-4-7-(11)/1-6-9/2-3-5…The last of the grass races today, and I will go to the outside for my top pick — Missive (10). This 4YO Alternation filly will be making her first start since last May. And, accordingly, she has been installed as a 12-1 outsider in the ML odds. But I make her my Upset Special of the Day. She ran very well in the career debut in Oct. 2017 and won the second career start. Ran super against America’s Tale, Stronger Than Ever and just behind Wonder Gadot. Didn’t like the grass a year ago, and then went to the shelf after a race in late May. But she is training lights out and the barn hits with .18% of those returning off an extended layup. Dam is a Stakes winner who has thrown 3 turns winners from 7 starters. Gets a top rider. Adds up for me, at a price worth taking. I bet the 10 to win/place/show and then key the 10 over/under the “all button.” Looking for that round tripper here. 9th: 4-2-8/3-5-9…Today’s finale is a MCL event for LA-breds only, and the price tag is $10,000. I will go to Jimjeff (4), who will be making his first start for trainer Larry Robideaux — who is returning to the barn activities. This one is 0-for-25 lifetime. And, a 6YO maiden. And, the works are nothing to write home about. So what gives? Great question. The meet’s top rider takes the assignment. Interesting. Robideaux is known to win with some long shots in the past. Interesting. And, he will be racing against only LA-breds today. Last time he did that? Ran a third and a second. Interesting. Worth a shot at a price for me. I bet the 4 across the board and then box the top 3 numbers in the exacta.